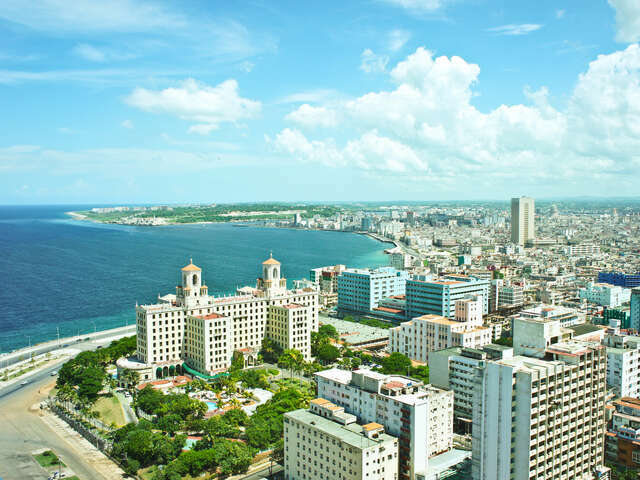 Start your trip to Cuba | Travel Expressions Ltd.
Cuba, officially the Republic of Cuba, is a sovereign state comprising the islands of Cuba, Isla de la Juventud and several archipelagos in the Caribbean Sea. The capital and largest city Havana. Havana had a large number of shows, events, and casinos catering to tourists. Geographically, Cuba is considered part of North America and culturally, it is considered part of Latin America. The island became a U.S. protectorate in 1898, and in 1902 it gained substantial independence. Between 1902 and 1959, many U.S. citizens lived in Cuba or frequently travelled to Cuba. It is the largest island in the Caribbean, and the second-most populous after Hispaniola, with over 11 million inhabitants. It is a multiethnic country whose people,culture and customs derive from diverse origins, including the aboriginal Taíno and Ciboney peoples, the long period of Spanish colonialism, the introduction of African slaves, and a close relationship with the Soviet Union in the Cold War. Cuba is ranked high in human development by the United Nations, and performs well in health and education. In 2015, it became the first country to eradicate mother-to-child transmission of HIV and syphilis, a milestone hailed by the World Health Organization as "one of the greatest public health achievements possible".